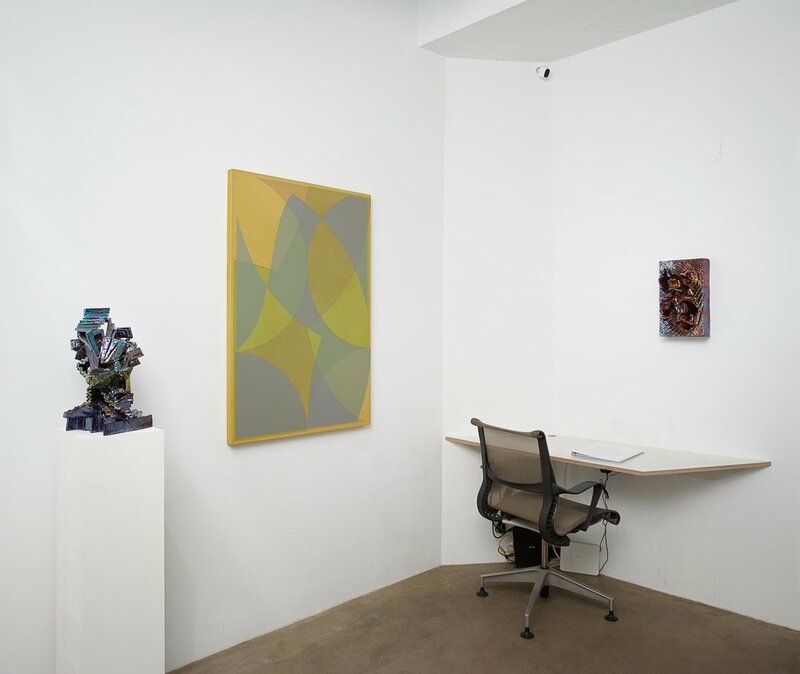 The gallery is delighted to announce a two-person exhibition of Brooklyn-based artists Halsey Hathaway and Julia Kunin. 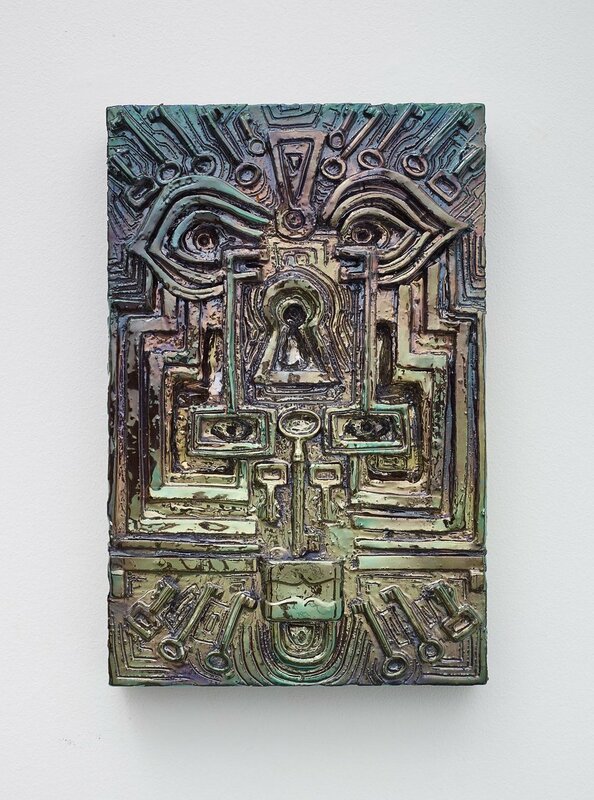 New acrylic on canvas paintings by Hathaway will be paired with Kunin's iridescent ceramic sculptures. Intricate and contemplative surfaces, a pliable sense of geometry, and an intense play between color and light characterize the paintings and sculptures included in the exhibition. 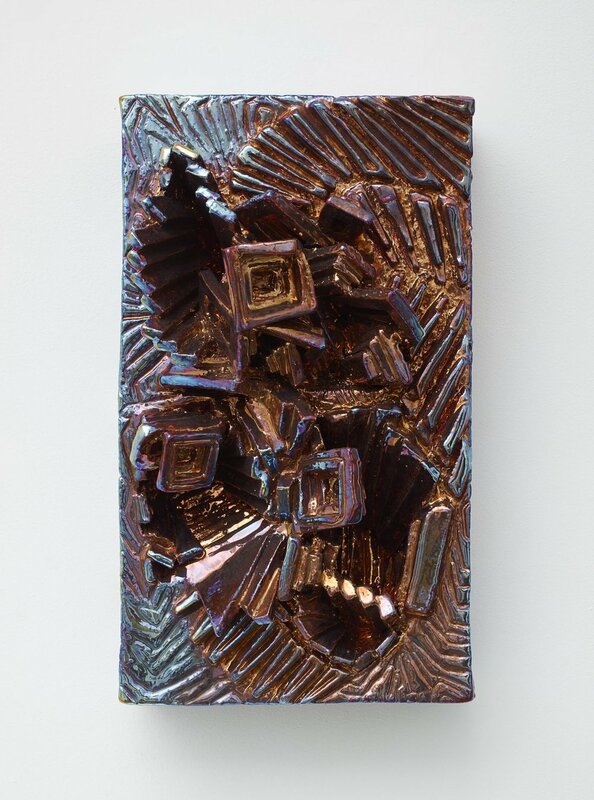 Kunin's ceramic sculptures feature complex reliefs of repeated rectangles, inspired by bismuth, a naturally occurring crystal that grows three-dimensionally in layers. She creates each work by joining separate slivers of clay, firing the overall sculpture in a kiln, and adding sparkling glazes to the surface. From a swirling pattern, occasional signals of the human face - an eye, mouth, or nose - appear, disguised in a Cubist idiom. 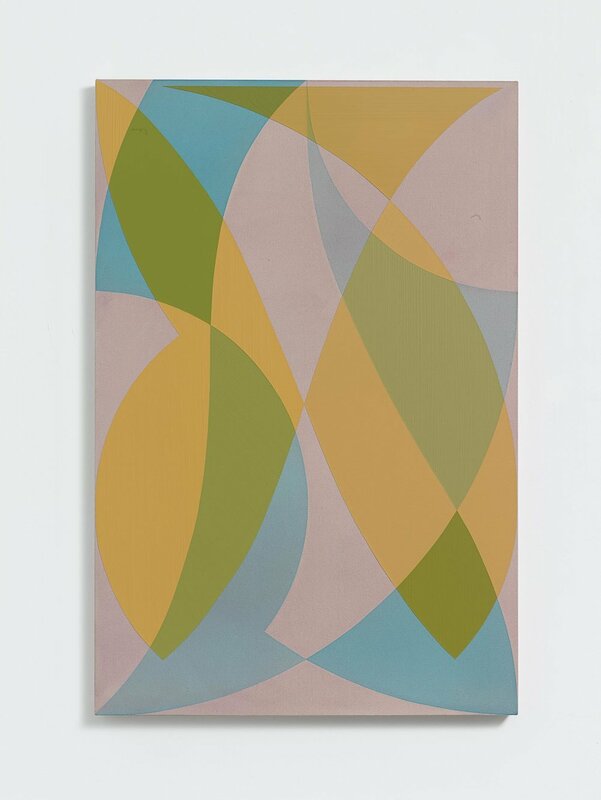 Hathaway's paintings include large geometric sections of individual colors of paint, overlapping across the surface to produce original shapes and new colors. Half-circles and tapered triangles range in tone from transparent to opaque, conveying the sense of light filtered through colored glass. Within crisp outlines, soft and bright shades of pale yellow, blue, and peach, call to mind elements of the natural world. 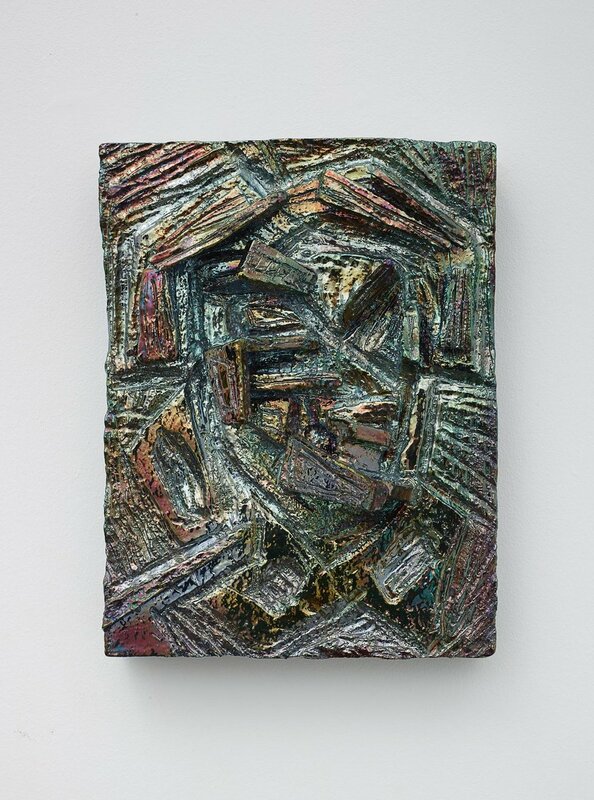 Julia Kunin's sculptures have been exhibited internationally for over three decades. Venues include The Museum of Art and Design, New York, NY, the Museum of Applied Arts, Frankfurt, Germany, Hallwalls Contemporary Art Center, Buffalo, NY, The Deutches Ledermuseum, Offenbach, Germany, Sandra Gering, Inc., NY, and Greenberg Van Doren Gallery, NY. She is the recipient of numerous awards and residencies, including a Fulbright Fellowship to Hungary (2013), a Pollock-Krasner Foundation Grant (2008), a MacDowell Colony residency, and a Marie Walsh Sharpe Art Foundation Residency. Kunin received an MFA in Sculpture from The Mason Gross School of the Arts at Rutgers University in 1993 and a BA from Wellesley College in 1984. 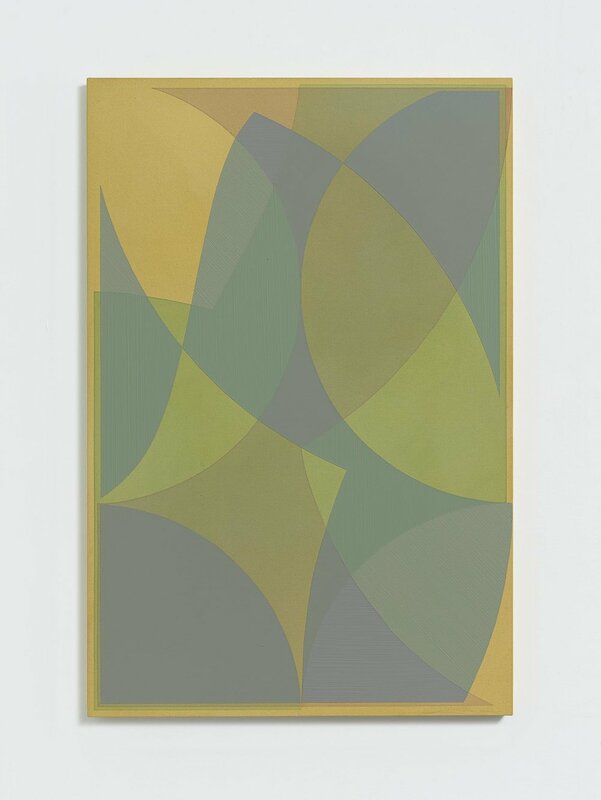 She is represented by Sandra Gering, Inc.
Halsey Hathaway's solo and two-person exhibitions include "Halsey Hathaway: Outer Place," Rawson Projects, NY, NY, 2016, "Halsey Hathaway: Drawings," Denny Gallery, NY, NY, 2013, and "New Paintings: Halsey Hathaway and Gary Petersen," Storefront Bushwick Gallery, Brooklyn, NY, 2012. His work has been included in group exhibitions at Casey Kaplan Gallery, NY, McKenzie Fine Art, NY, Eleven Rivington, NY, and the Museo de los Pintores Oaxaqueños, Oaxaca, Mexico, among other venues. Hathaway received an MFA in Painting from Hunter College, NY, in 2006, and a BFA from the Pratt Institute, Brooklyn, NY, in 2002. He is the recipient of a 2010 fellowship in painting from the New York Foundation for the Arts and a 2006 Tony Smith Award, given by Hunter College. His work is included in the collections of the New York-Presbyterian Hospital and Credit Suisse, among others.